RelaDyne is one of the nation’s leading providers of lubricants, fuels, diesel exhaust fluid (DEF), and reliability services for industrial, commercial, and automotive businesses in the United States. RelaDyne was formed in 2010 by the combination of four well-established industry-leading companies and has since grown to more than 60 locations by strategically acquiring other industry leaders in the lubricant, fuel distribution, and industrial service segments. 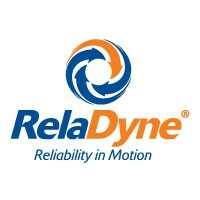 For more information, visit http://www.RelaDyne.com.